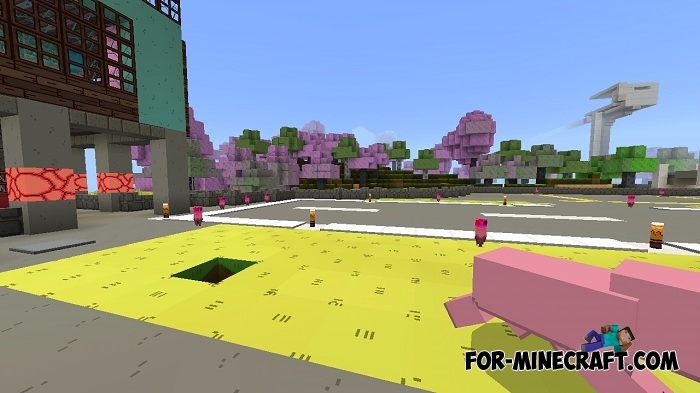 In anticipation of the soon-to-be-released Minecraft Adventure Time pack, we suggest that you download a small add-on that turns the game into a cartoon. You will see a changed world, new characters, famous objects and suitable sounds that remind you of your favorite cartoon. The addon is still being supplemented at this stage of development but the main details are ready. Finn the Human is the main character, he is neutral to the player and can become a friend if you feed him bread. Jake is the best friend of Finn who saved him many times. BMO is a walking computer that knows how to perform many functions. Use apples to restore health. 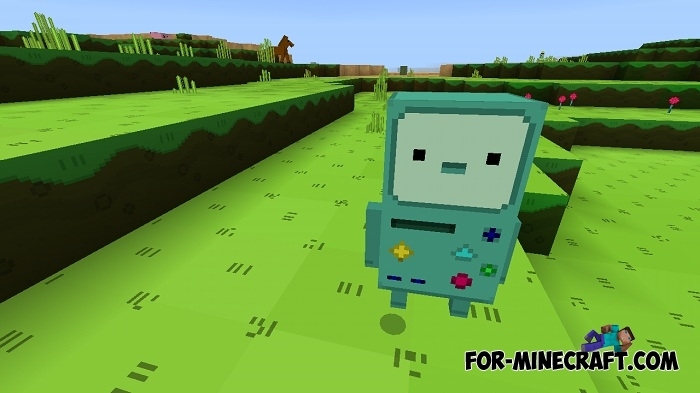 If you liked the texture pack then you can download it separately - the Adventure Time Craft Textures. 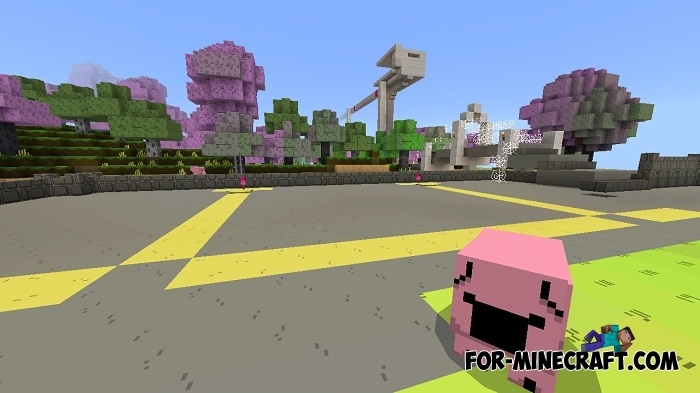 Also, it changes the appearance of some mobs, the sun and moon and blocks. The creator added a few new sounds for the characters, interact with them to hear their reaction. 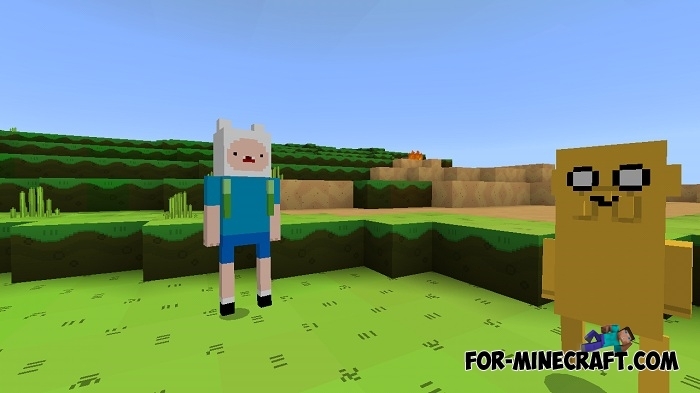 Adventure Time Craft Textures (MCPE 1.0/1.1)Now you can move into the world of Adventure Time combining cartoon and medieval style. 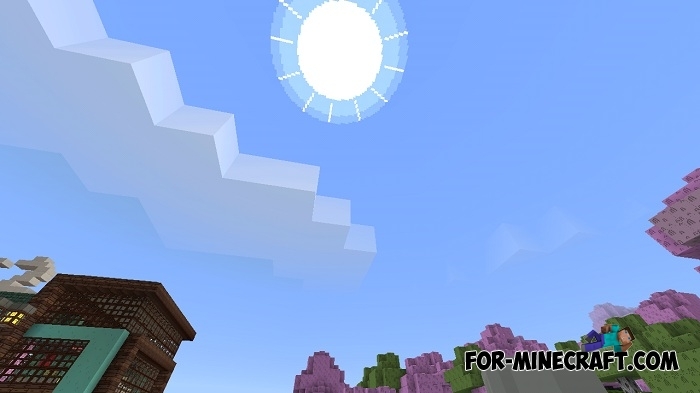 This texture pack is very high quality, it is enough to look at..